Note：The capacity is total tons per hour passing through crusher at open circuit when crushing mid-hard material and bulk density with 1.6x103kg/m3 . 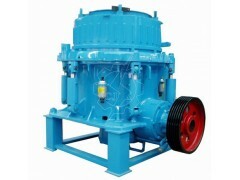 Capacities are relative to physical character and type of feeding,feeding size and composition and so on. Note: The gradation shown are depend on the feed gradation,the crushing chamber,the material density,the materlal nud content,its moisture and its crushability.